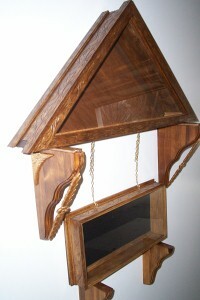 holder are produced using only the finest materials and craftsmanship. 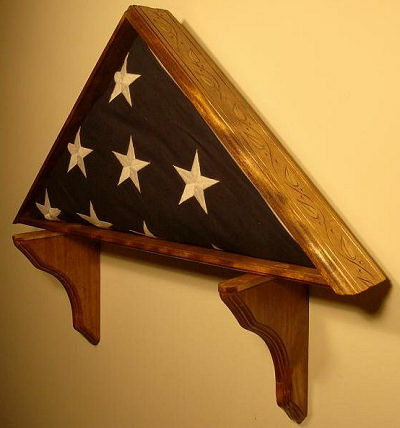 A military burial flag is presented as a symbol of the appreciation of the nation for the service rendered to our country by the deceased veteran. 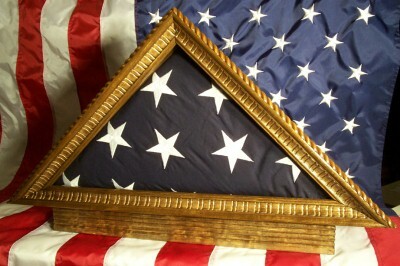 The finest craftsmanship is paramount at MFDC when creating a flag display case for your loved one. 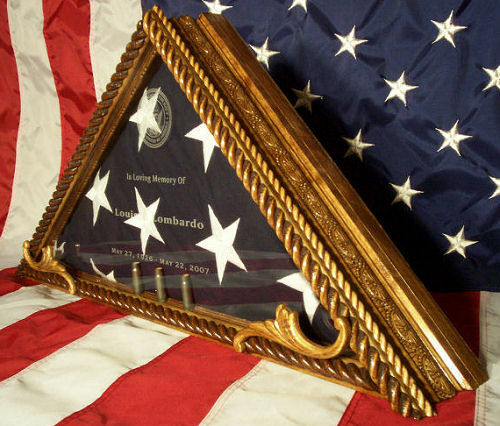 Flag cases, shadow boxes and certificate holders provide a protective display for a folded burial flag, medals and awards. 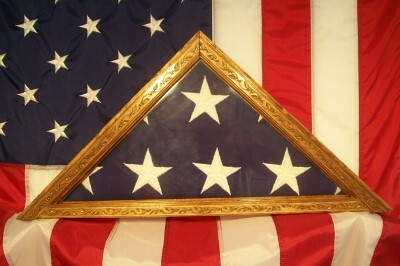 Military Flag Display Cases offers only the highest quality products for your memorial flag and memorabilia. 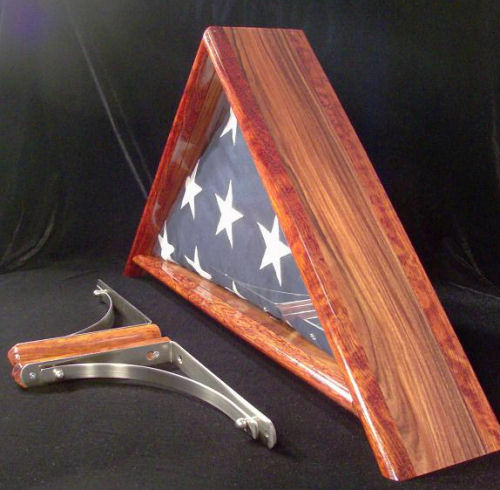 ~ Each Flag Display Case is constructed from premium woods and hand finished to bring out the natural beauty of the wood. 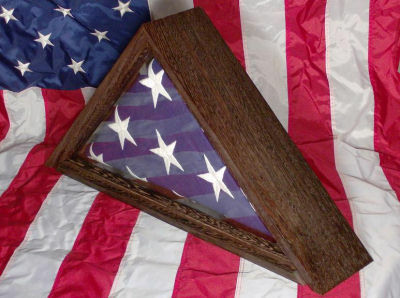 ~ Flag cases and shadow boxes are fronted using high quality glass rather than Plexiglas. 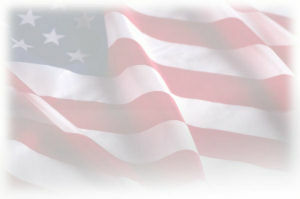 ~ Receive $25 off your total cost when you order a combination of a flag case with a shadow box and certificate holder. 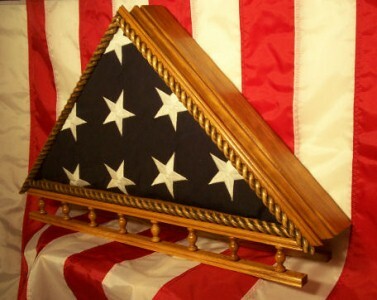 ~ Optional etched glass is available on any flag case. 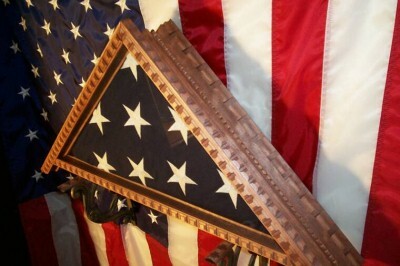 ~ Each flag display case is a one-of-a-kind, handcrafted, American-made product. ~ You have a choice of the type of finish you would like on your case. 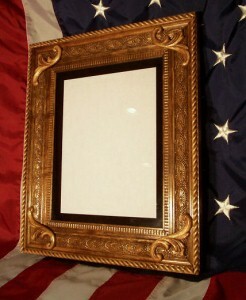 Shadow boxes and certificate holders are available in all styles to match your flag case. 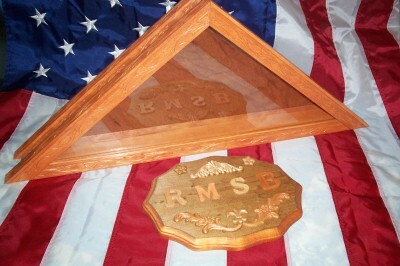 Flag display cases include wood, wall mounted display case holders finished to match the flag case. 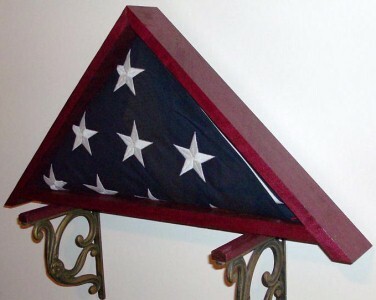 Optional wall mounted designer flag case holders are available that accent the cases. 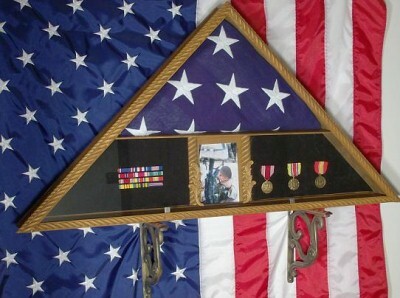 Each display case for the casket flag is signed on the back. Make sure you get the best. 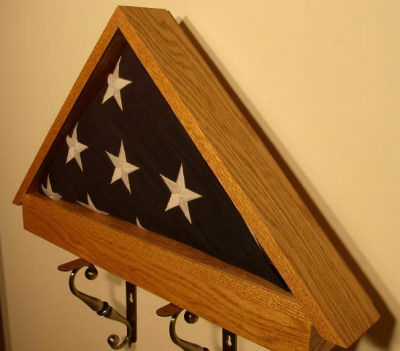 Your Memorial Flag deserves only the best. 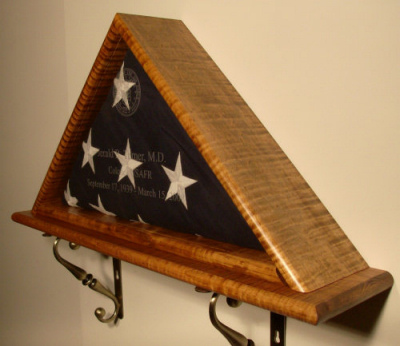 MFDC flag cases provide protection for the presentation flag and allows you to display it in an heirloom quality case that will preserve it for future generations. 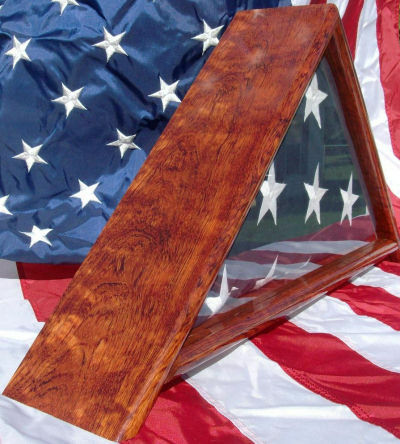 Military Flag Display Cases(MFDC) supports our troops and offers heartfelt thanks to the men and women of the armed services for their selfless sacrifice. Please allow 3-4 weeks for delivery for items not in stock. 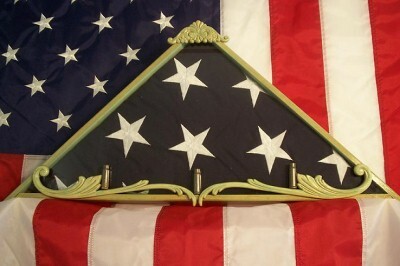 The finest flag case for your Memorial or Military flag. 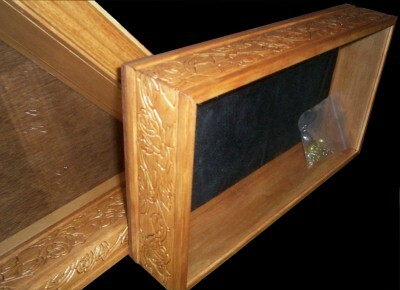 Shadow Boxes and Certificate Holders are created with the same care and attention to detail.